S|C: PitchSEQ module see here, CellularAutomata see here. 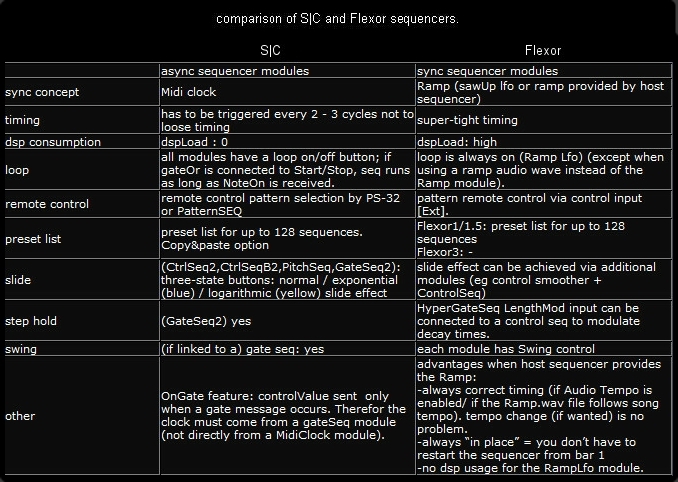 Flexor: Ramp modules see here, ControlSeq and NoteSeq modules here, GateSeq modules here. 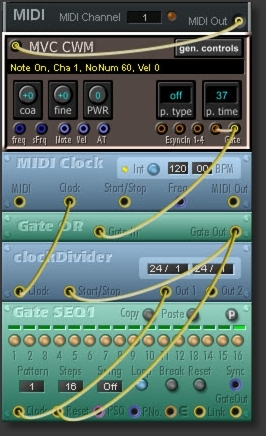 StartStop module: [Out]-> start/Stop of clockDivider + reset of seq modules. 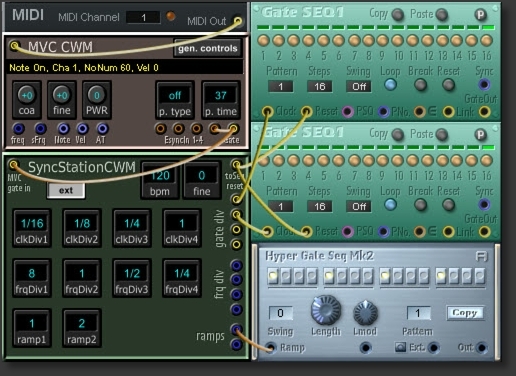 SyncStation is an allround module for syncing S|C and Flexor seq modules. 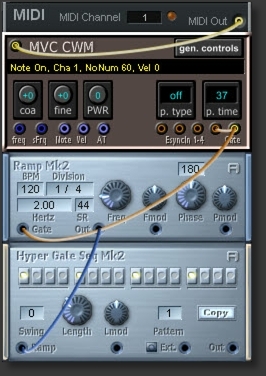 S|C seq modules [reset] have to be connected to SyncStation's [reset], see picture.